The swing series is manufactured at Valandre with the same precision and attention to detail as the Elite sleeping bags. Unlike its bigger brothers not down the Greylag, but Pyrenean "thick" duck down is used in the Swing series. 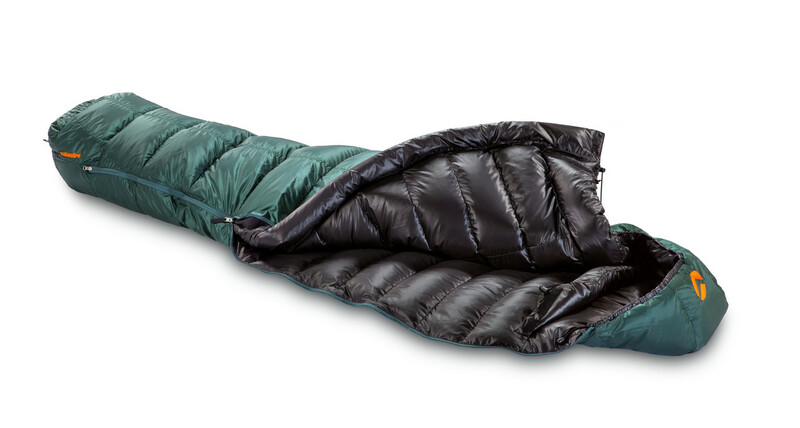 If you are looking for a sleeping bag with a top price / performance ratio, the Valandre Swing series is the first choice. 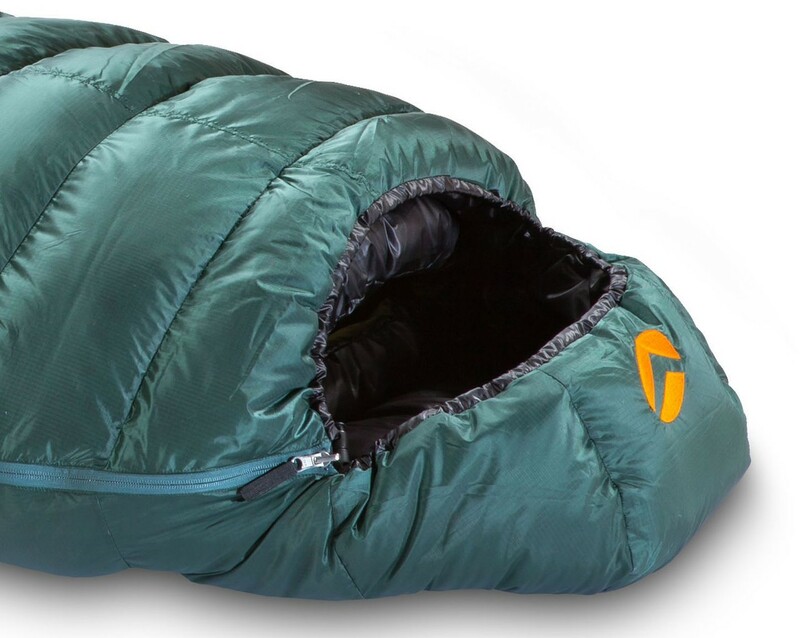 Although conceived 2 years sleeping bag, has this sleeping bag thanks to its excellent developed foot pocket, the semi-elastic Zugkragen and closely fitted hood, everything you need for a top performance. Comfort : 32°F/ 0.1°C With over 30 years of experience producing and supplying down products, our experience says -5°C (23°F) in limit of comfort. Compartments : 17 compartments, mounted using straight H box walls. Down quality : Duck 90/10 Filled with our 90/10 "fatty" gray duck from the South West of France. A unique and totally mature down quality, that have a filling power of 650+ cuin (EU Norms) 700+ (US Norms). A strong long lasting quality down with excellent moisture resistance. a discount of 10% on the recommended retail price of the manufacturer. (except fixed prices). We do not allow any further discounts! The discount of 10% will be deducted immediately. Test report Valandre Swing 500 - in the magazine "outdoor"
Successful featherweight: Even if it is the entry line of the down-expert VALANDRE, the SWINGs count among the best what the down-sleeping bag class has to offer. Filled with emorm high-quality, long-lasting end tone, the SWING 500 shines with light weight and pack size, good insulation, top sleeping comfort and a fine material and processing quality. CONCLUSIONS: The springy SWING 500 is warm, light and small packable. Furthermore, the high comfort of sleep and the quality. That deserves a thick purchase recommendation. Laden Sie sich den ganzen Testbericht als PDF Datei herunter! The Onlineshop System used by us was tested by Trusted Shops and found to be legally Safe. Delivery times - why are longer delivery times? Every customer wants to receive his new "dream sleeping bag" in a top quality. In this case, the down filling should not be compressed for a very long time by the packaging and storage in order not to impair the natural buoyancy of the down. Therefore, high-quality down sleeping bags from well-known manufactures are only filled with down at the time of ordering. This ensures that every customer gets a "hand warm" sleeping bag in top quality.